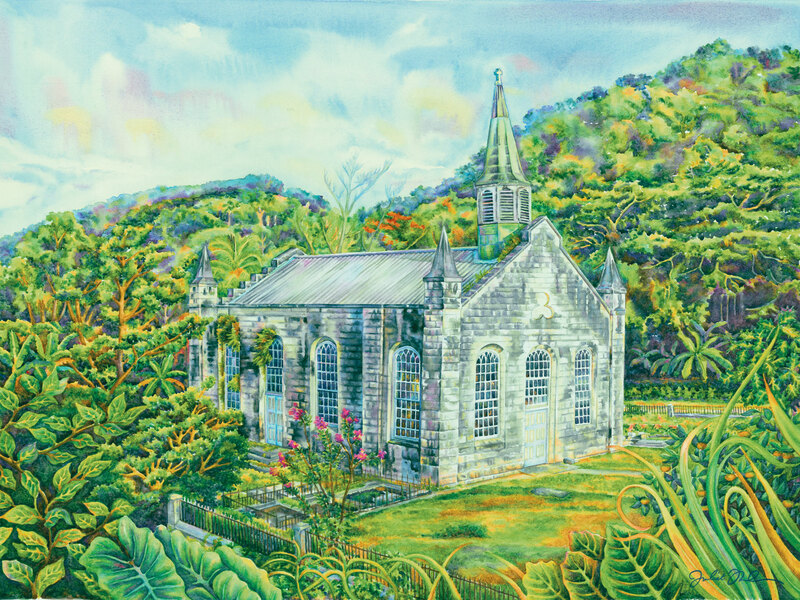 While driving through the Dry Harbour Mountains in Trelawny, Jamaica with a friend some years ago, we stopped to see St. Thomas Anglican Church. I don’t think anything could have prepared me for the sight of this hauntingly beautiful church. As though in the middle of nowhere and frozen in time stood a building that I knew needed to be acknowledged, and my way of course was through lines and color. My intention was to show others what was there so that they may know it as well. This is a limited edition of 50 giclée prints on watercolor paper. The original painting has not been sold.